Binoculars are generally categorized as either full-sized or compact type. 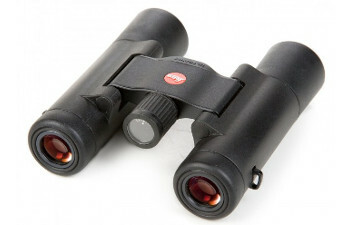 Compact binoculars are usually small, lightweight, and easy to carry. It works almost the same way as your typical full-sized binoculars but with some limited capabilities. 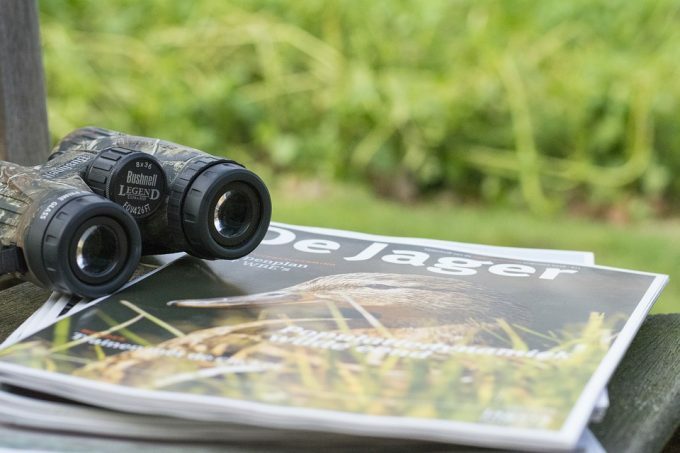 The best compact binoculars will give you quite a few great features. The latest in compact binoculars include laser range-measuring technologies and lightweight materials to give you the most comfortable, small device. Other models have modern prism coatings, magnesium body, leather style coverings, and optics that are watertight and filled with nitrogen. These models usually have varying prices. 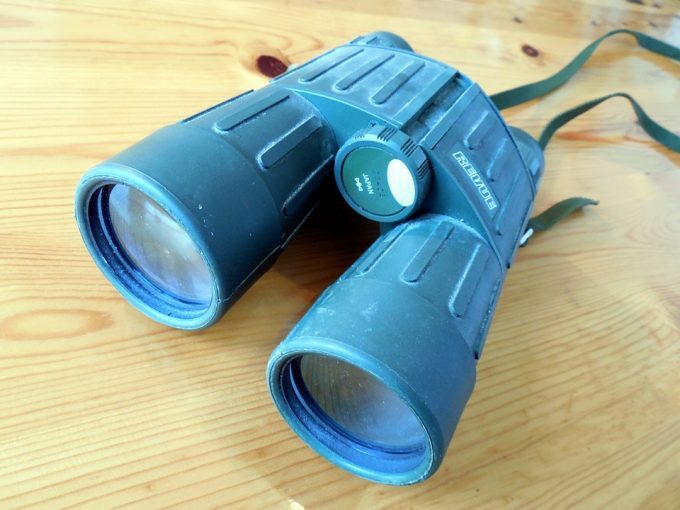 For people with tight budgets, you can opt for best-selling compact binoculars sold by popular brands. They have the basic features and may include some add-ons such as better eye relief, eye lenses, retractable eyecups, special multi-coating and more. These types are still recommended for walking, sporting events, opera and theatrical events. They may be small but their effectiveness and usefulness cannot be questioned. 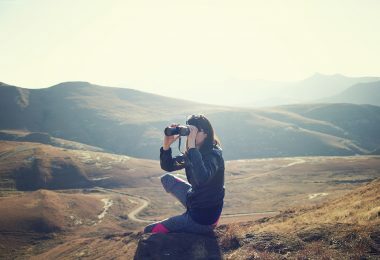 Typical and practical applications of compact binoculars include sports events, theatrical plays, and concerts, outdoor activity like camping and leisure traveling. If size and weight matter most, then a compact binocular is the perfect gadget for you. It almost has the same basic functionalities of full-sized binoculars without the big disadvantage of its heaviness and dimension. First and foremost, you need to consider some of the prominent drawbacks related to the compact binoculars. Compact binoculars usually come in the 8x and 10x magnifications, the objective lenses generally of either 20 mm or 25 mm in diameter. Since these objective lenses are smaller in size, the lens and the glass coatings should be of a premium quality so that it can retain a satisfactory level of brightness. Same is the case for the tiny prisms that are used in such binoculars; these should be manufactured in a way such that it can tolerate and have phase correction for these binoculars to be practical. 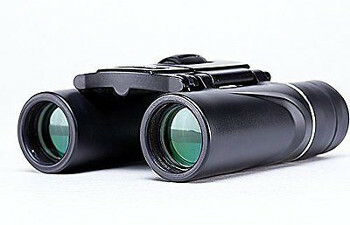 Adding more to the design mentioned above, the compact roof prism type binoculars support an extremely small exit pupil. This aspect can make the placement of the eye extremely tough and make them tiring to operate for any length of time. Although not so relevant in the modern world, the twilight factor indicates the performance of a scope in dim light. The bigger the twilight factor, the brighter the binocular’s image will be in dim conditions. So, if you don’t fully trust the coatings in a device, then you might want to ensure it has a bigger twilight factor. If it’s not indicated on the box or anywhere on the binocular, just multiply the objective lens with the magnification power. Whatever you get, its square root is the twilight factor. There are a good number of companies you might want to consider for several different reasons, one of which being the lenses they offer. Because they’ve been treated with an anti-reflective coating, you’ll get the image you’re looking for. These are also easy to adjust thanks to their knobs, meaning you can switch from close views to a distance with ease. Also, there are manufacturers that are reputable can boast of a proven history of making good products. This is something you’ll want to check up on no matter whom you end up dealing with. You’ll want to get the best deal for your money and this means comparing products before you settle on a final offer. Sure, all these may sound negative. However, the fact is that the quality of these compact binoculars is extremely tough to manufacture and thus you do have to pay a premium price to get yourself a practical, functional and operative instrument. If you consider the 8×20 or 10×25 models from the renowned brands like Nikon, Zeiss, Swarovski, and Leica and you do not prefer to part with that sort of money, then you are all good to opt for a slightly larger binocular, like an 8×32 or perhaps a small Porro-prism model. As all such models are less demanding when it comes to the manufacturing, and you will generally get a better view dollar for dollar when compared to the genuine compact binoculars, and sometimes they are not that much more bulky to carry around. 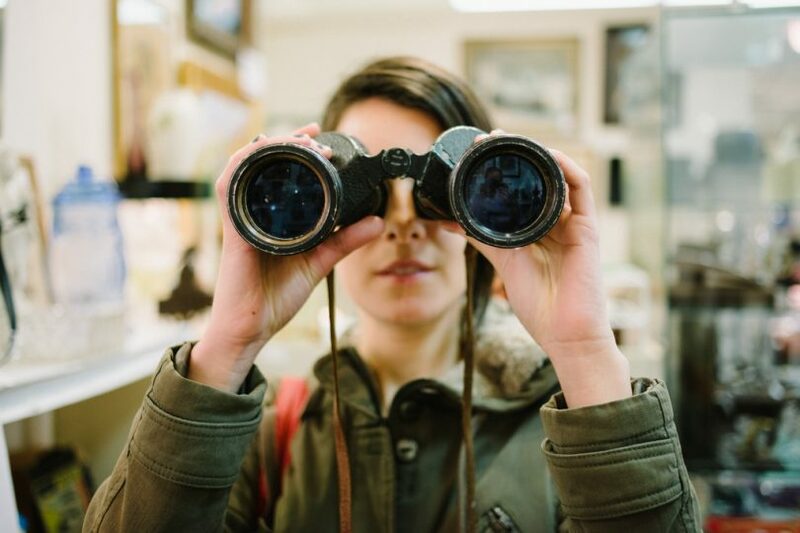 Now that you have some idea of things to look at when picking your pair, let’s dive into some binocular reviews. We have rounded up 9 offerings, each of them is a top choice, so you can select the one that best suits your needs. Specific features: Ultra-hard construct, HD extra-low dispersion glass, 8x magnification, multi-prism coatings for brighter images, scratch-resistant coating, rubber armoring, and weighs 24 oz. 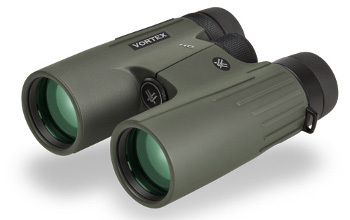 The Vortex Optics Viper HD Binocular has reliable optical features. The binocular’s 8x magnification and 42 mm wide objective lenses provide the best stats for any individual interested in birding. The wideness of the lenses allows much light to pass through (both at dawn and dusk) while at the same time making it possible to locate small and fast moving targets. This binocular produces High Definition images thanks to its high-quality glass (HD extra-low dispersion) and proprietary coatings that double up the amount of light entering the device. Structurally, this binocular sports a twilight factor of 18.3 and an exit eye pupil of 5.25 that transmits more light for a better view. The coatings on the prism enhance images contrast and resolution. On the outside, Viper HD is lined with hard rubber armoring to protect it from minor bumps and day to day hardships. Rubber doesn’t make noise when objects fall on the binocular as that could scare away the target. The lenses too are secured with a hard, scratch-resistant coating to keep off water and dirt. In general, the material that makes up this device makes it lightweight, comfortable and well balanced. Viper HD keeps the safety of the user in mind through its superb maximum eye relief of 20 mm and eyecups that are lined with a thin soft rubber for a painless feeling if the binocular hits you. This distance is very friendly for individuals who wear glasses. All Vortex binoculars are entirely waterproof and fog proof due to the O-ring seal. The seal also shuts out dust and other debris. Specific features: 10x magnification, 42mm objective lens, coated lenses and prisms, ed glass elements, rubber armored housing, 4.2 mm exit pupil, wide angle viewing and weighs 48 oz. 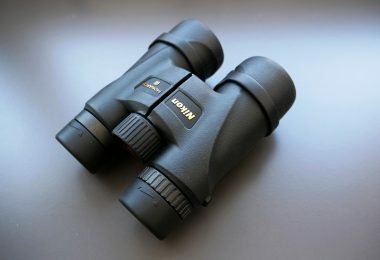 The Nikon MONARCH 7 Binocular optic capabilities are defined by a heavily multicoated prism, ED glass, and of course, the wide field objective lenses. The Extra Low dispersion glass transmits bright and crisp clear images. The objective lens allows in much light while the phase correcting prism transmit much of the light gathered throughout the entire visible spectrum resulting in colored, life-like images. The roof prism eliminates image aberrations common in sub-par quality optics. Nikon Monarch 7’s is made from lightweight material and coated with rubber to guarantee a tight grip even in humid conditions or when you are sweating. The lenses are water and scratch resistant and sealed with an O-ring together with some nitrogen additions to keep off moisture and dust. Other features that provide an adventurous outdoor activity with this device include a generous eye relief, 8 feet close-focusing distance and flip-up objective lens. 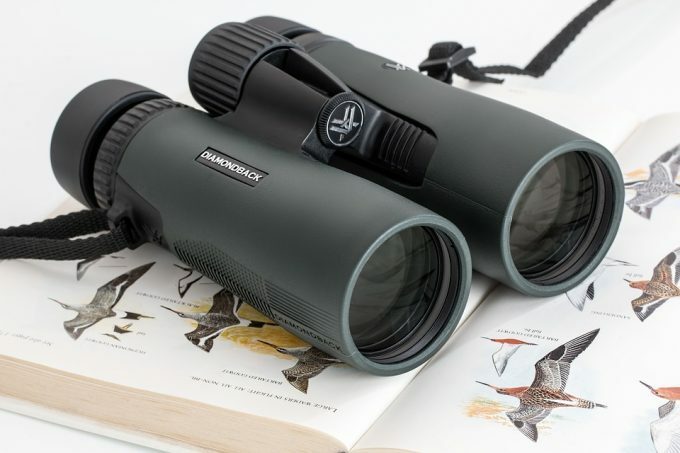 Worth noting, this scopes 10x magnification is ideal for long-range and intermediate use that includes bird watching, hunting, and terrain navigation. You can easily spot small, first moving targets. Image focus is enhanced by the wide twilight factor of 20.5 and an exit pupil of 4.2 mm. The wider the exit pupil and twilight factor, the exemplary the view. Specific features: 10x magnification, 25 mm objective lens, BCR binocular, waterproof, single knob for diopter correction, 2.5 mm exit pupil, and weighs approx. 9 oz. Leica products, including Leica BCR Binocular, don’t come cheaply due to their exceptional quality. To begin with, Leica BCR Binocular is extremely small (9 oz) with a double hinge mechanism that allows it to collapse and fit in your coat’s pockets. The device is rubber armored for a perfect grip, durability, and comfort. This device’s minute size means you don’t get a wider field of view due to a narrow objective lens. This could mean low-quality optics but Leica dodged that bullet by shrinking the same quality found in bigger binoculars into this one. Leica does not specify anywhere the type of glass used in Leica BCR Binocular but its elite performances suggest the use of ED glass. BCR (basic curve radius) helps to make the device friendly on the eyes. Leica’s interior consists of a proprietary coating that prevents light from straying. When the proprietary coatings are coupled with the prisms’ dielectric coating, you will barely notice that this device has a smaller objective lens. These two light gathering features ensure there is plenty of light to provide high contrast and life-like images. Regarding the field of view, this binocular scores fewer points. Most binoculars have a field of view of 300 ft at 1000 yards but this one has only 273 ft at 1000 yards. Nevertheless, it scores better on portability, ease of adjustment, comfort and image clarity. Its outer construction features light aluminum material and rubber coating. The lenses are coated to make them water and dust repellant. 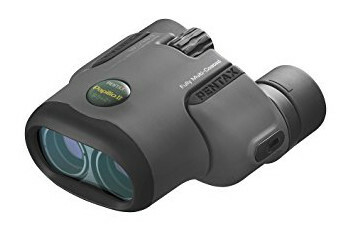 Specific features: 8x magnification, 21 mm objective lens, anti-glare surfaces, bak4 prism glass, exit pupil 1 mm, eye relief 11 mm, dual focus portable binocular. It weighs 9.9 oz. The USCAMEL Folding Pocket Binoculars is one of the best small binoculars that come under $50. Such binoculars are efficient in short-medium range viewing and are suitable for individuals who don’t have many bucks to throw around. USCAMEL Folding may have a low field of view, a shorter eye relief, and a narrow exit pupil but it still provides crisp clear images. This binocular’s excellent clarity comes from the high-quality, FMC coated glass that optimizes light gathering. The glasses are transparent and fully anti-glare. The roof prism has phase correcting features that ensure the image comes out well-detailed. This binocular’s design incorporates image stabilizing capability to avoid image shaking due to wobbly hands. 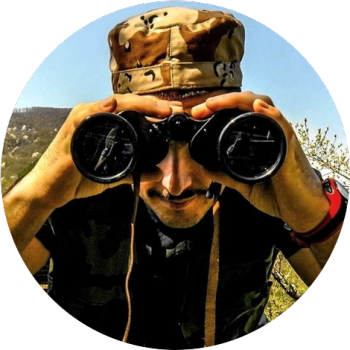 This lightweight binocular is made of light aluminum material lined with rubber to give it a rugged appearance that can make it endure harsh conditions. The binocular is entirely waterproof and fog proof. Although its eye relief is slightly limited, the fold-back rubber pieces ensure glasses wearers have a peaceful time with the device. Nearly everything about Zeiss Victory Compact Binocular from optics, exterior outlook to its light gathering ability is perfect. The dielectric mirror coating, Innovative lotutec lens coating, 15.8 twilight factor and high-quality glass is responsible for this device’s stunning image clarity. 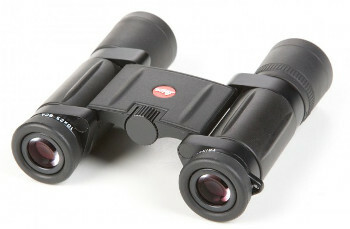 At 10X magnification, this binocular can help you enjoy a good view of faraway objects clearly. On the outside, the binocular sports a tough rubberized housing that makes it fog proof and waterproof. The interior is also purged with nitrogen to prevent dust, fog, and moisture from impairing the image quality. Some of the things that could be considered letdowns in Carl Zeiss Optical 10×25 T are a small exit pupil, a low field of view and a shorter eye relief. If you are in search for the best and affordable compact binocular that you can easily carry around without compromising on quality, try out Polaris Optics Spectator. This device is perfect for nature lovers, sports aficionados and any other individual watching something from some yards away. The Binocular’s 8x magnification scale and HD multi-coated glass work together to deliver the best images you crave. Glasses wearers will appreciate this binocular’s wide field and twist up eyecups. At 14.8 mm, the eye relief is not that bad off from the recommended 16 mm. On the outside, this scope features a rubber lining that makes it secure in hands even under sweaty or moist conditions. Unfortunately, this scope is not fog and water proof. Polaris Optics Spectator is secured by a lifetime warranty and a 30-day money back guarantees. The package comes along with other accessories like Neck strap, carrying case, lens covers, and lens cleaning cloth. 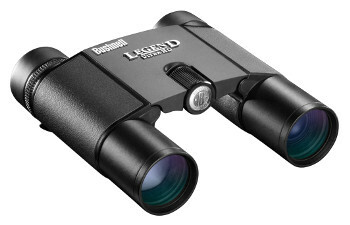 The Bushnell Legend Ultra HD Binoculars puts up quite a legendary optical performance. The binocular consists of fully multicoated optics to optimize light transmission, ED prime glass to produce amazing color images that are free from chromatic aberration and PC-3 Phase Coating that enhances resolution and contrast. The construction of this binocular includes magnesium chassis and some rubber lining to provide a firmer grip. In the inside, the device is sealed with O-ring and purged with nitrogen making it fully water and fog proof. 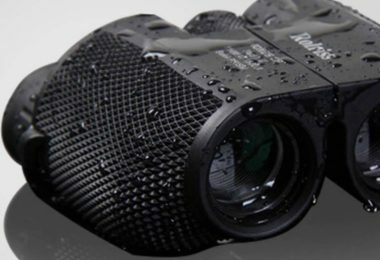 The lens also features a Rainguard water repellant coating. The stellar performance of Bushnell Legend comes at a low price and this may leave many people looking for the catch; there is no one. Some of the features that are limited include a smaller objective lens and exit pupil which cannot transmit plenty of light. Nevertheless, multicoated optics does the job pretty well. The Pentax U-Series Binocular combines BAK4 Porro prisms and aspherical lens elements to bring sharper images including those at the edge. The optical elements are fully multicoated as well to ensure maximum light transmission making this device suitable even in low light conditions. With a magnification of 8.5x and a 21 mm objective lens, you get well-detailed images with slight jitters. The Pentax has a wide field of view. With the aid of the center focus wheel, you can easily toggle the field to bring your target right at the center. Other adjustments you can make use to obtain a good view are diopter and interpupillary. Although this device’s exit pupil is small, the special coatings lessen its inefficiency. This binocular is compact, lightweight and sports a single frame that supports the objective lenses. To accommodate the special needs of glasses wearers, this device has a friendly eye relief and twist up rubberized eyecups to make viewing less strenuous. Also, included in the package are a neck strap, carrying case, eyepiece covers, and a warranty card. 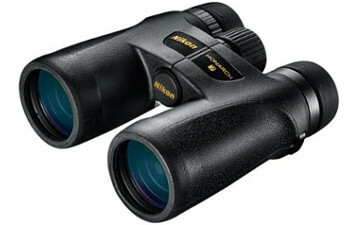 Specific features: 10x magnification, 25 mm objective lens, 2.5 mm exit pupil, 15.81 twilight factor, and a hinged design. It weighs 9 oz. The Leica BCA Binocular is small but powerful. Its housing is made of lightweight aluminum material lined with rubber armor that gives it a rugged design to withstand any rigors that result from field viewing. Rubber also makes binoculars easy to attain a firm grip in a moist condition. 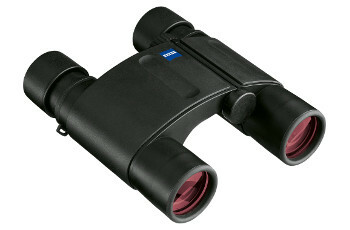 Additionally, this binocular’s hinged design enables it to collapse for easy storage and transit. When it comes to light transmission, Leica BCA Binocular’s 10x magnification, small exit pupil and a narrow, 25 mm diameter mean you can only obtain greater images in good lighting condition. To compensate for these flaws, Leica equipped this device with HDC multicoated lenses to improve its light gathering ability. There is a central focusing knob at its top for easy and smooth adjustment. Glasses wearers will be glad to know that this device’s eye relief is quite friendly. The adjustable eye cups can help you get a better view as well. 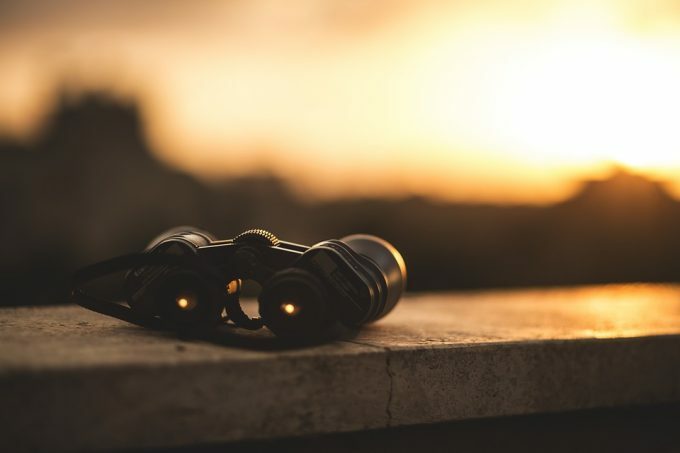 You have already made your resolve to go for the best small binoculars, but with many varieties out there, it can become quite challenging to get something that is worth your money. We have prepared this list for you so you can analyze the binoculars and see what fits you in terms of cost and features. Some of the key things that you need to look out for include magnification, the field of view, type of prism, glass quality, objective lens and exit pupil’s size. Nevertheless, any of the binoculars reviewed above will serve you just fine. Do have experience with compact binoculars? What variety did you use? We would love it if you can share some insights with our readers via the comments section. 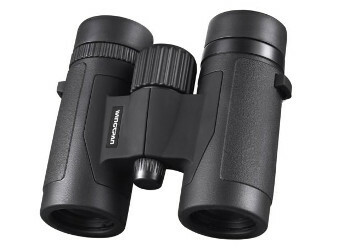 Feel free to add any other superb compact binocular we have left out as well.